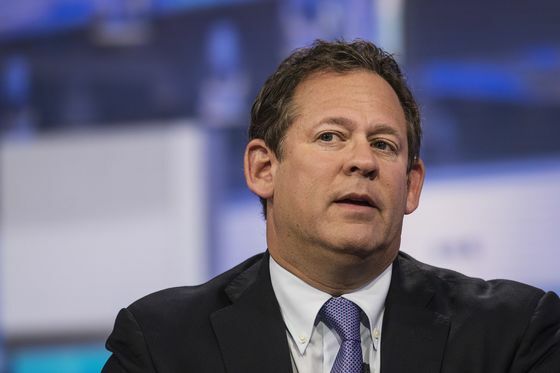 (Bloomberg) -- The next frontier for stimulus at the European Central Bank should include stock purchases, according to Rick Rieder, BlackRock Inc.’s chief investment officer for global fixed-income. Policy makers in the euro area are mulling a tiering system to mitigate some of the side effects that negative rates have on financial institutions. However, bolder action is needed to spur capital investment and merger activity, said Rieder, who manages more than $60 billion across various funds. Rates are sufficiently low to encourage the addition of leverage. 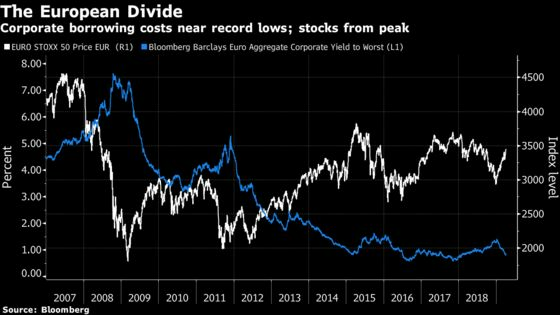 There’s more than $200 billion in European corporate debt trading with a negative yield. Further steps in this direction could be akin to pushing on a string. Thus, stimulating via the equity channel is the least-worst option, Rieder said. The ECB wouldn’t be the first central bank to engage in these kinds of extraordinary measures. The Bank of Japan has been purchasing exchange-traded funds since 2010. Switching the focus to a riskier part of the corporate capital structure could have unintended consequences, according to other investors.